Big and tall guys often struggle with finding the right clothing for them as their physique offers many difficulties. If they find the right shirt to fit their length, the shirt turns out to be too loose for them, making them look baggy and ill-fit. Big and tall clothing is not always the right one for all tall and big guys. Sometimes if they happen to find the right fitting for them, their skin is left bare and they seem less sharp and not so well groomed. The struggle is real, but you do not need to worry as we have a complete guideline to clothes for big and tall guys including the best advice on suits for big men. Made to measure clothing seems to be the only solution to all of these problems. Here are some benefits of made to measure big and tall clothing for guys. Perfect fit: Made to measure clothes make sure that you get the right fit for yourself. From shoulders and neckline to the hem of your trousers and the length of your sleeves, custom made big and tall suits fit respective guys well. A better quality of materials used: When you have custom made clothes, you can choose the material yourself. This means that you can make sure that you have a material which is affordable yet high quality. Add your personal touch: With made to measure clothing, big and tall guys can add a touch of their personality to their clothing. This way they can state who they are and what they believe in merely by clothing in a more personal manner. Save time and effort: When getting custom-made clothes, you do not have to shop around and see what fits you and what does not. This way, their time, effort and sometimes even you can save money. 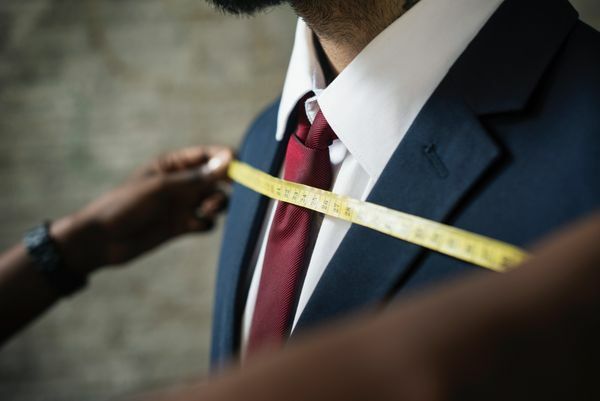 Made to measure clothes last longer: When you are choosing your own material and the suit fits your big and tall physique, you will need lesser repairs. This way, custom made big and tall suits last longer. All of these benefits of made to measure clothing make them perfect for big and tall guys. Switch from belts to suspenders to stay comfortable and well groomed. Wear a hat with your clothing to get a more vertical edge to your face which will accentuate your facial features in a more impressive manner. Have well-groomed facial hair to show the world that you are not lazy and know how to improve your appearance. You can try these suits to look impeccable as you can have them tailored to your fit. So, go ahead and try these style tips to look perfect and stylish to rock your tall and big physique this season!